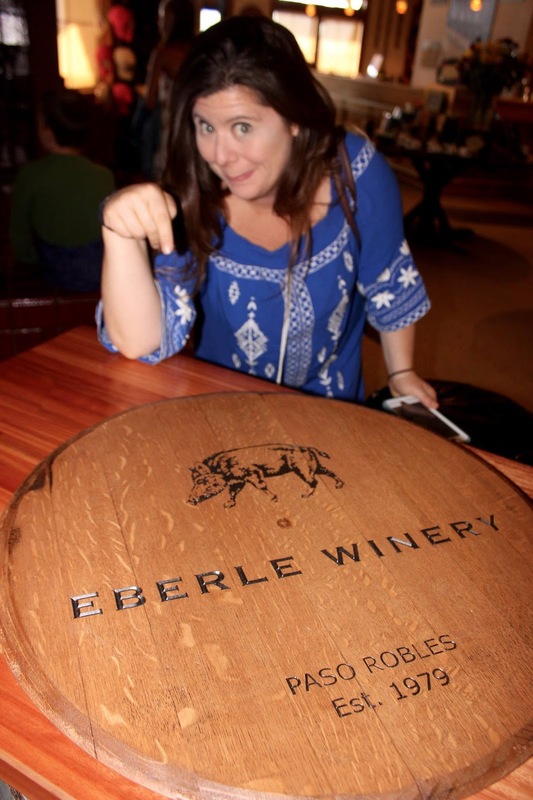 Our next winery to explore was one of the grandfathers of Paso Robles wine: Eberle Winery, established in 1982, by Gary Eberle. Eberle is a braggadocios man, but with every right to be. Before finding wine he played football at Penn State and pro ball for 18 days with the Detroit Lions. But, a National Science Fellow, the science of wine was his calling. After a mentoring from Robert Mondavi, he has been making wine every year since 1973. “Mondavi was the PT Barnum of wine, and I say that with the most admiration ever,” noted the wry Eberle. 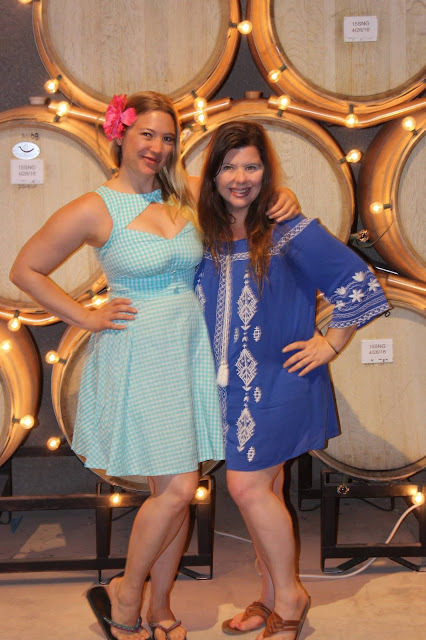 The Eberle Winery Tasting Room is open seven days a week, offering complimentary wine tasting, cave tours and spectacular views of their vineyard. Eberle, a Swiss name for “little boar,” now does 30,000 cases per year with a focus primarily on red wines (which constitute 83% of their inventory). 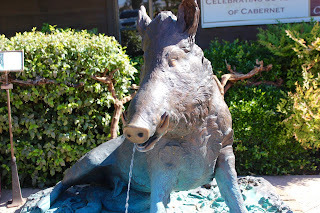 According to Gary, Eberle is the busiest tasting room in Paso, and the second busiest tasting room in the state. 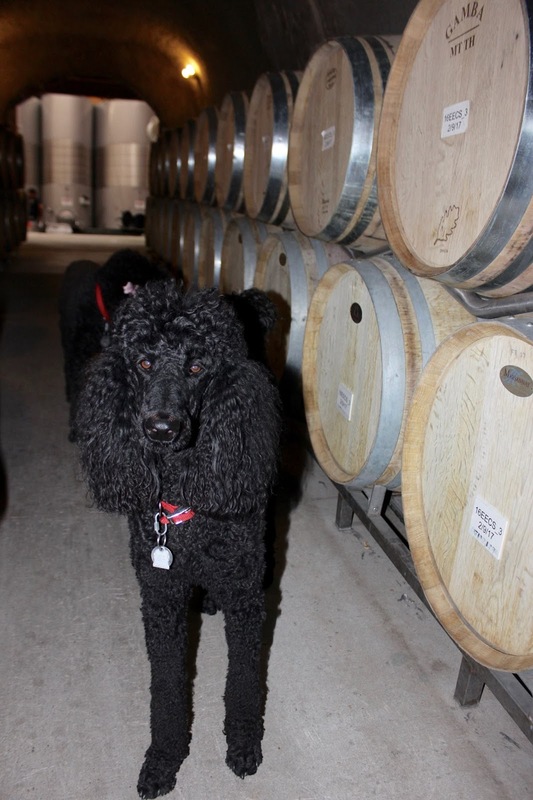 The winery does 90,000 guests a year, with 50% of retail sales in storefront. “We sell everything.” In 1991, Eberle was seeking additional space for their red wine program and decided to go underground. Today there are 16,000 square feet of underground caves and tunnel located below the winery. Eberle’s winemaker is also carries the last name of Eberle, although he’s not blood related. 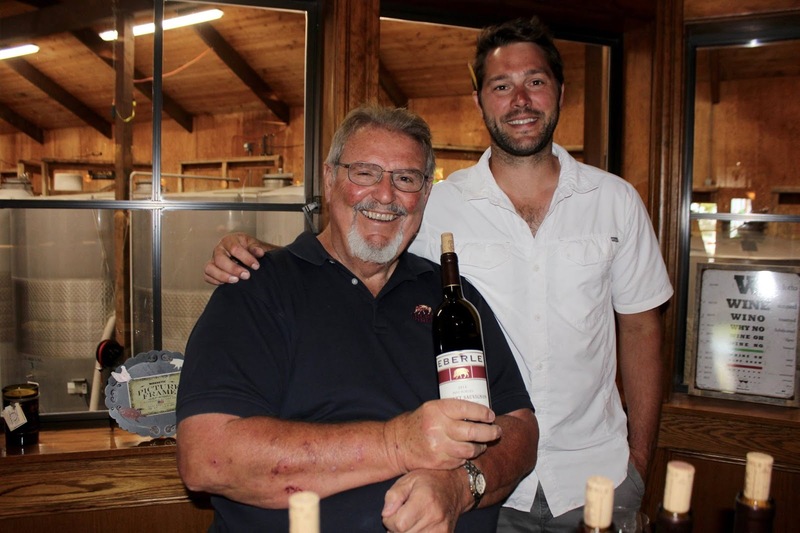 Chris Eberle attended Cal Poly for Ag Business and Viticulture before traveling the world making wine in Europe, Australia, and South America. Gary was looking for a winemaker and friend requested him on Facebook, the rest is history. Some of our favorites from this tasting included Eberle’s Cabernet Sauvignon 2013. Eberle only makes a Reserva approximately half of the time. “It has to be the best of the best to make it.” This wine will be released in 2017 and according to Gary will be sold out by Christmas. This is a wine of detail (with the label painted straight onto the glass bottle), with velvety tannins bringing up hints of cherry and cedar. Another fantastic wine is their 2016 Muscat Canelli Double Gold. Refreshing and semi-sweet, this wine with its flavors of Jasmine and Orange blossoms is a fantastic aperitif or to complement a decadent dessert.